Try this delicious and easy way to incorporate plant based protein into your diet! Recently I made a poll on Instagram stories to see what your opinions were on tofu. I was shocked to learn that it was split 60/40, with around 40% of you guys not liking tofu. I completely understand those findings though. I didn’t start eating tofu until 2015 when I first went Vegan. Tofu can seem completely unapproachable and the texture can turn people off. It reality, it just takes learning the ways that you like to cook/eat it. For example, I really loved baked tofu. It really firms up the texture and makes it a lot meatier. However, I really took those poll findings and decided to put them to good use. 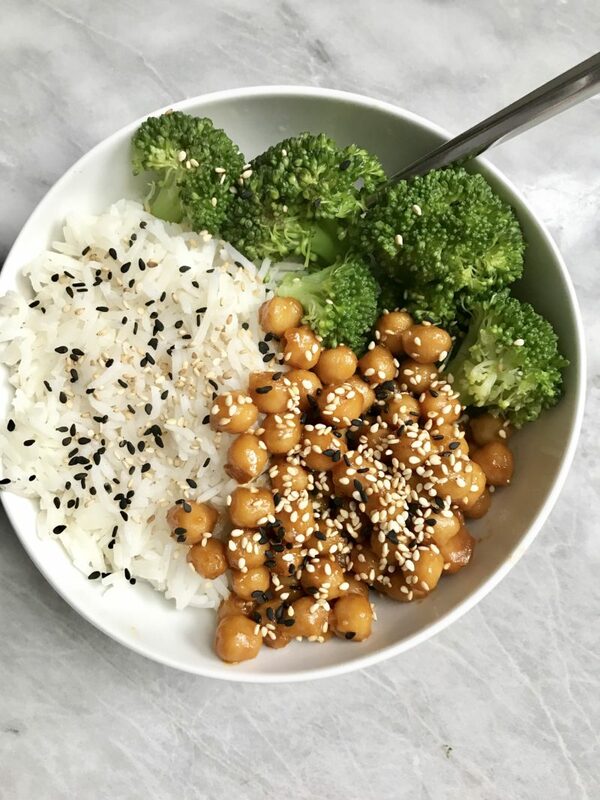 Chickpeas are a great source of plant based protein and taste so delicious! They’re also super versatile and work really well as a base in many asian inspired dishes. So that being said, I decided to use them in this orange chickpeas recipe. This is incredibly easy to make, but packs a whole lot of flavor. 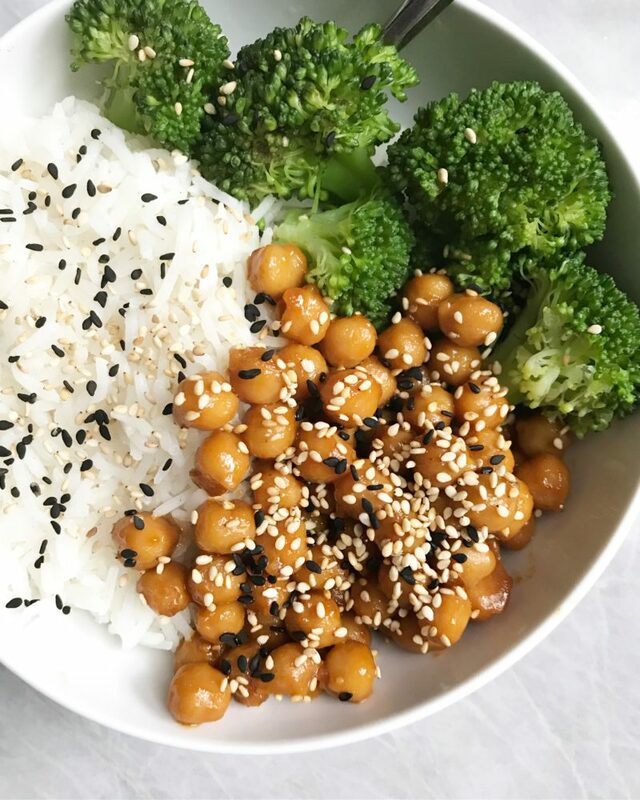 I love to serve this chickpeas with some rice and broccoli, but in reality they can go with a lot of items! Do you like tofu? Let me know in the comments below! If you try this recipe, don’t forget to tag me on Instagram @plantbasedjane so I can see! 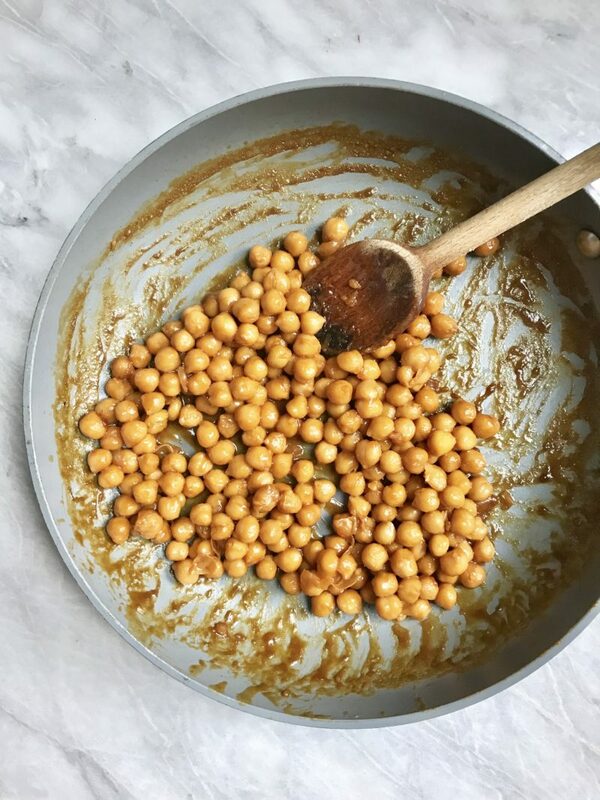 Drain and wash your chickpeas, set aside. Combine the remaining ingredients in a bowl and set aside. In a large saute pan, spray some non stick oil on medium heat. Add in your chickpeas and cook for 1-2 minutes. Slowly pour in your sauce and mix to combine. Let thicken up (which takes around 3-5 minutes). When sauce is thickened up, take off heat and serve immediately!